What’s in the rest of the glass? When we talk about the glass being half empty or half full, the conversation usually ends there. One or the other. But what about the rest of the glass? If you see it as half full, then your optimistic-ness must tell you that there is a reason for it not to be completely full of liquid. I didn’t fully grasp the meaning behind this until I spoke to Prateik and Alankrit Bhardwaj over lunch at the IAAPA convention. I had just purchased my $8 turkey sandwich and was looking for a spot to sit down. Prateik had been in a seminar I conducted the day before and offered me a seat with he and his brother. As we talked about the show and their business, Prateik brought up the content of my seminar, “Building Your Leadership Brand.” He said, “I don’t think it was supposed to end there. We are supposed to keep thinking about this, correct?” He was right. I told him this was not a concept that would be decided in a 75 minute seminar, but rather a journey that we started together, which could later be completed on your own. And it was then crystal clear. “Opportunity”, I said. I had never thought about it in those terms, and probably wouldn’t have if it weren’t for this chance meeting. But I really do feel that the reason the glass is half full is because there is still the OPPORTUNITY that it will be completely full. Wow. Thanks Prateik and Alankrit, for helping me figure that out! Well it had to happen. The IAAPA convention is over and all the conventioneers, committee members, coaster nerds and vendors are now headed back home to either put to use some of the things they learned or tally up their sales. The people – I got to meet and hang out with so many cool people! The HR Commit tee members, the show ambassadors, people like Scot Carson from Amusement Advantage and Tim Ruedy from NASCAR Speedparks who I had worked with many years ago, and new friends like Dino Fazio from Morey’s Piers, Gary Popp from Hersheypark and Tim Sorge and Scott Brown from Swings-n-Things Family Fun Park. At one point I was walking through the halls with my friend John from the Detroit Zoo and I happened to run into person after person that I wanted to say hello to. After the 3rd or 4th person he said to me jokingly, “Oh, you are one of those people?”. Why yes, I guess I am! Happy Feet. For anyone who has ever walked long distances (like at a trade show) or had to stand for long periods of time (like in a training class), these Happy Feet insoles are the mack daddy. They contain a gel that actually moves back and forth as you walk, creating a massage effect on your feet which keeps the blood flowing and reduces fatigue. I was so impressed with what they did for me the first day I wore them that I went right back and bought another pair for my wife. The people (again) – this show was such a great opportunity to connect with people who are passionate about the amusement industry. Many of us took very different paths to get where we are today, but we all share the common interest of creating a fun and memorable experience for our guests. Everyone I met was so gracious and I truly want to stay connected with each you! If you weren’t able to attend this year’s expo or missed out on an event or two, swing on over to IAAPA’s website where they have pictures and recaps of the main events. 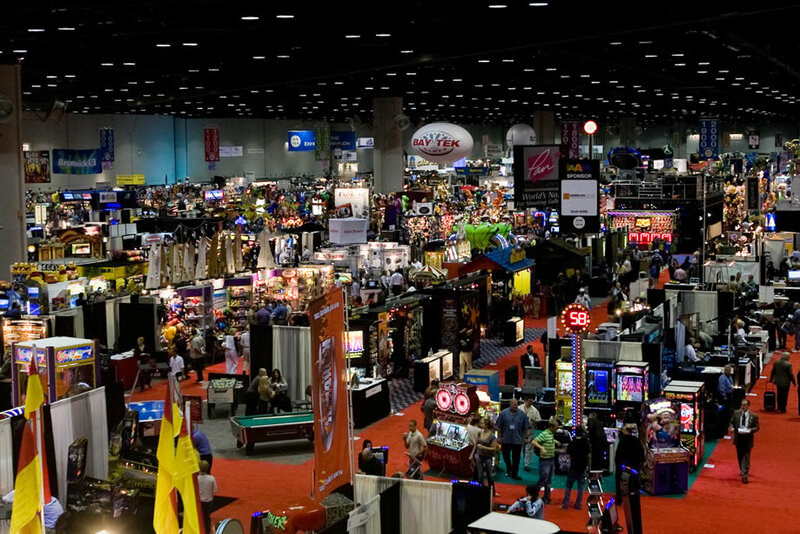 The IAAPA Attractions Expo is the highlight of the year for many self proclaimed theme park nerds like myself. The lights, the sounds, the new rides and games… it’s like being a kid in a candy store. Even if you are not in the market for the latest whirly-gig or deep-fried whatever, the IAAPA show has lots of things to offer. As you might imagine, I have a special place in my heart for the educational sessions. In fact, it was a session by T. Scott Gross in ’97 that made me say, “I want to do that. I want to inspire others the way T. Scott Gross inspired me!” That eventually lead to switching career gears from management to training, and nine years later I was on that stage presenting my own training session to the IAAPA members! 2008 will mark my 3rd year presenting at IAAPA and my first year serving on the Human Resources committee myself. I am really looking forward to what the Expo will bring this year, and can’t wait for it get started! This may not outwardly sound very optimistic of me, but I have been very careful lately not to use the word hope very much when it comes to things I want. Let me explain. 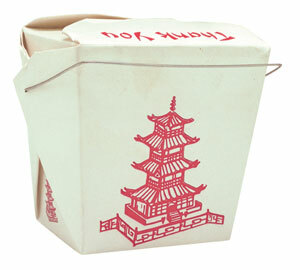 The other day, my wife and I felt like having some Chinese food. We were both craving some General Tso’s Chicken and Crab Rangoon. So, we sat and we hoped. We hoped and wished. We wished and prayed… yet the food never came. Only when I picked up the car keys and drove to the restaurant was I able to fulfill our craving. I probably don’t have to ask this next question, but I will. Do you think the right people got the message? Say it with me: NO! Indirect messages that we HOPE will hit the mark are no match for candid, timely and respectful feedback to the individual. This may be a tough conversation to have, but doing it this way you are more likely to change a behavior for the better. Why take the chance that the one person who really needs the feedback is not even listening because they don’t think it pertains to them? That’s taking chance out of the equation and putting yourself in the drivers’ seat. What’s more optimistic than that?